Trinidad is a colonial city that has been able to maintain its historic core to an exceptional state of preservation. The antique buildings and public squares brings to fore the rich Spanish culture that permeated throughout the country. Trinidad is a colonial city that has been able to maintain its historic core to an exceptional state of preservation. The antique buildings and public squares brings to fore the rich Spanish culture that permeated throughout the country. The architectural, cultural and historic heritage of the larger Cuba is well captured in this historic city. Trinidad is a representation of colonial settlement while the Valle de Los Ingenos is testimony to the development of the sugar industry in the country. After a decision was reached to colonize Cuba, Don Diego Velazquez, the famous colonist was sent to the New World to oversee the Spanish entrenchment in the island. From 1512 to 1519, he founded the a whopping 7 Cuban townships including; Santiago de Cuba, San Cristobal de la Habana, Nuestra Senora de La Asuncionde Baracoa, Santa Maria del Puerto del Principe, San Salvador de Bayamo, Sancti Spiritus and Santisima Trinidad. The town of Trinidad was established in 1514 as honor to the Holy Trinity. A site at the southern coast of Cuba was chosen, approximately midway between the island’s 2 tips. 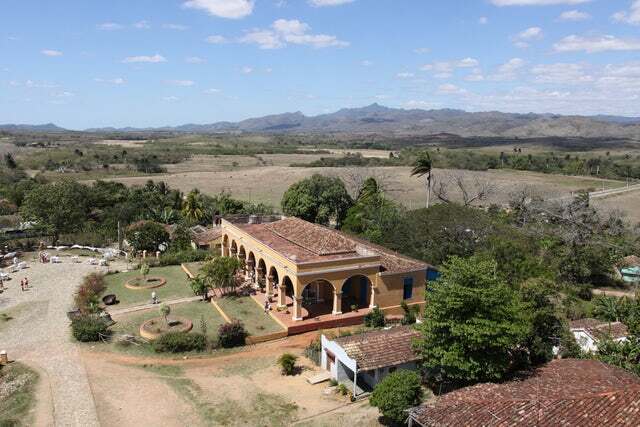 The Town was protected by the El Escambray Mountains to the north and was next to the Caribbean Sea in the south. Apparently, this town would become one of the bridgeheads used to conquer the rest of the American Continent. It was the point of departure used by Francisco Hernandez de Cordova and by Cortez in 1517 and 1518 respectively. By the twilight years of the 16th century, the town’s economy was booming due its strategic location as a ship docking hub. Throughout the 17th century, the town established itself as a center of commerce with the main trade products being tobacco, cattle and contraband. In the 18th century, the establishment of sugar industry in the Valle de Los Ingenos and Trinidad turned sugar into the main product. In 1796, Trinidad was Cuba’s third largest city and a Lieutenant Governor was appointed to oversee its administration affairs. The historic town of Trinidad must be included in your Cuban tour itinerary. It takes you back to the colonial times and the economic achievements attained during this period.